Isn't it romantic? That's what your guests will be saying when you send them elegant wedding invitations from Invitations by Dawn! 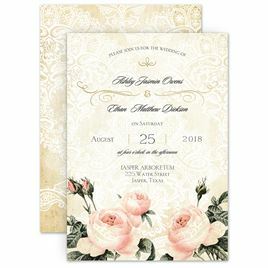 This is the time to tell your unique love story with romantic wedding invitations that are a beautiful representation of your wedding style. Roses, locks and keys, hearts, lovebirds and filigree make our invites unique and they will set the scene perfectly for your celebration of love. Want a fairy tale wedding? We have invitations for that, too! 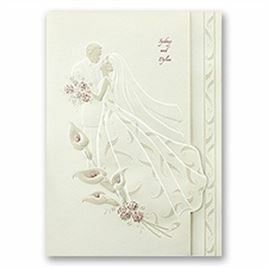 View our Fairy Tale invitations for another take on romantic.